West Indies is another name for the Caribbean Sea. 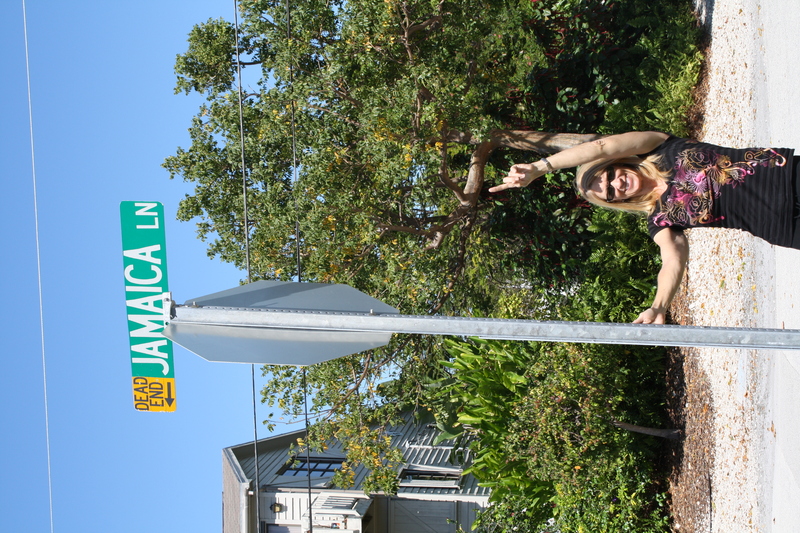 Having been on a 10-Day Cruise to the West Indies before I couldn’t stand not knowing what was down the road named for our vacation that provided us with so many awesome unforgettable lifetime memories. 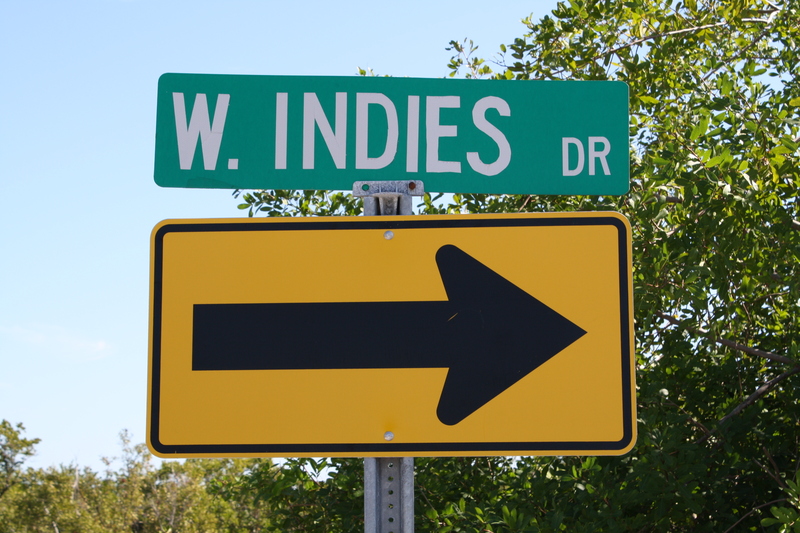 Without knowing what was around the next turn, curiosity got the better of me as we headed down West Indies Drive. 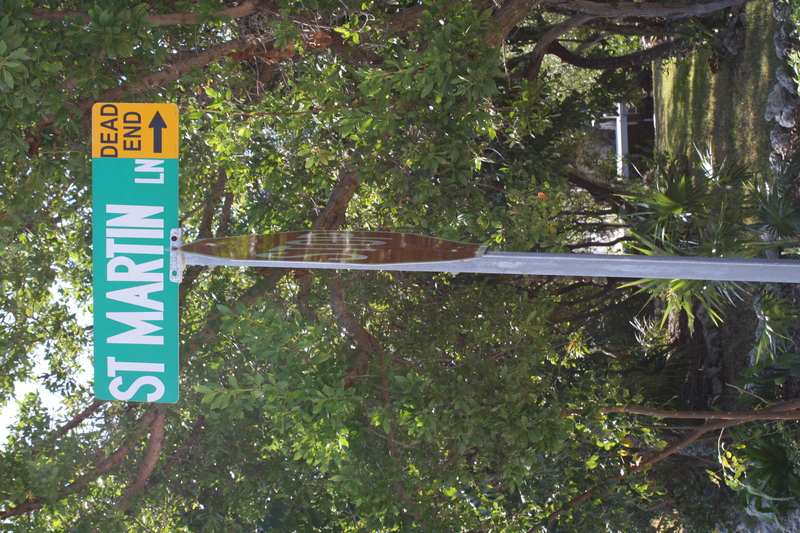 Wow was I surprised block-by-block as islands and nations I’ve visited appeared on street sign after street sign. You can begin your own Caribbean land cruise seated in a comfortable air-conditioned car as you drive down memory lane or dream of lands far-a-way for your own bucket list. On your driving tour around the islands you’ll see the following: St. Croix, Jamaica, Martinique, Guadalupe, Antigua, St. Martin, Haiti, Dominica, Cayman, Barbuda, Aquila, Tobago, St. Lucia, Barbados, & St. Vincent. This brought back so many memories as I watched country after country that I’ve visited go by. My lady and I both chose one sign a piece that we had been to together and stood beside it pointing up to the sign as the other snapped our souvenir scrapbook photo. This was a very pleasant surprise for just turning down a road taking a shot in the dark that turned out to be a bright spot down memory lane! 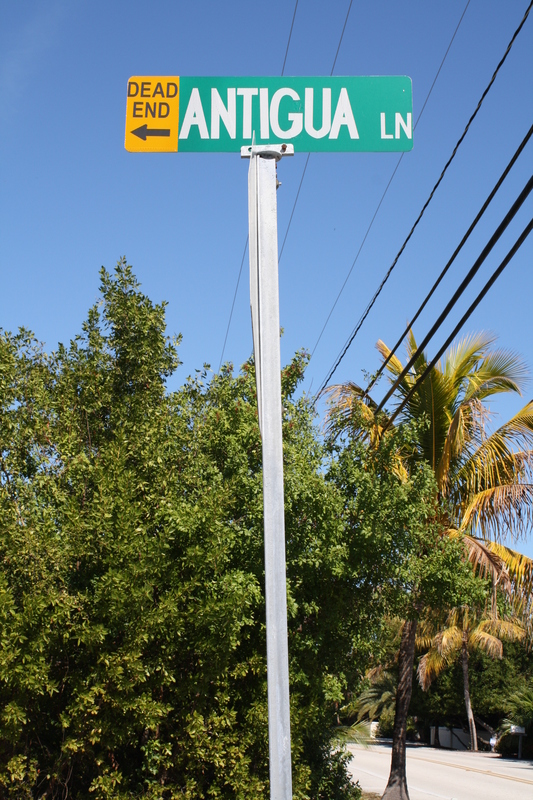 You can find this Caribbean subdivision on West Indies Drive at Mile Marker 27.4 oceanside. Enjoy your land-lubber voyage!